The Amazonas Troja stand has been beautifully crafted from European Spruce wood. It has been weatherproofed and can there be used both outdoors and inside. The hammock stand's fittings are made from galvanised stainless steel. 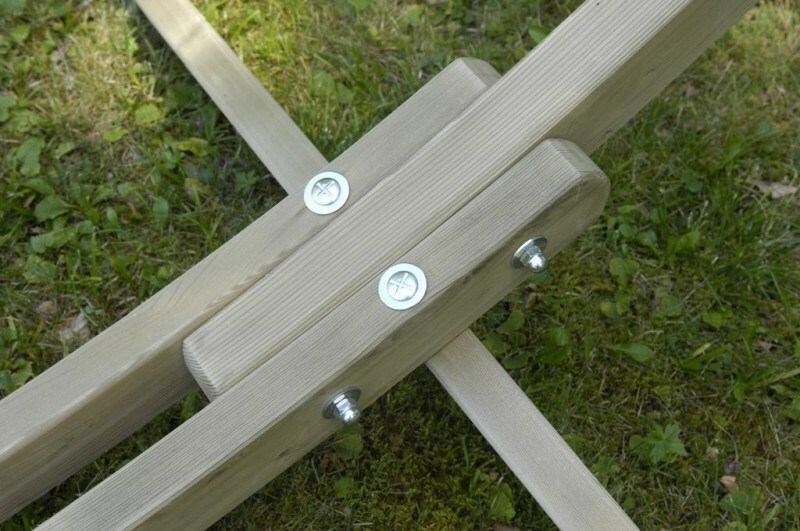 The stand itself is very strong and can withhold a 200kg weight capacity. 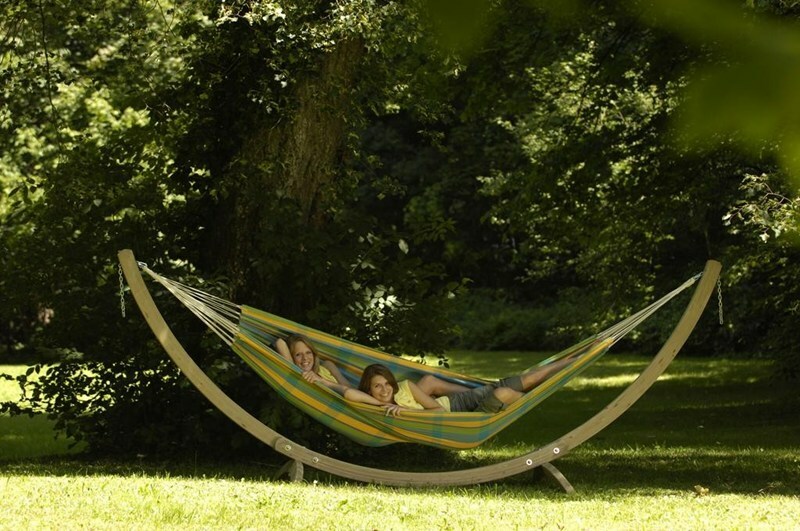 The stand can be easily adjusted and fits all of our Amazonas hammocks from 340-420cm. 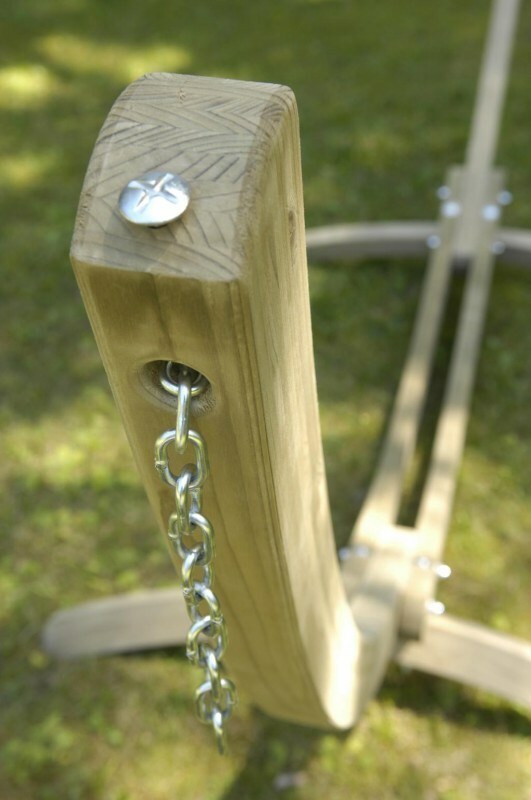 The must have accessory for your hammock to enable you to swing away in the garden or home for hours on end. Please note this is for the stand only, hammock is not included. 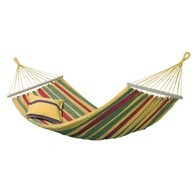 Please see our other items for sale for different styles of hammock available. 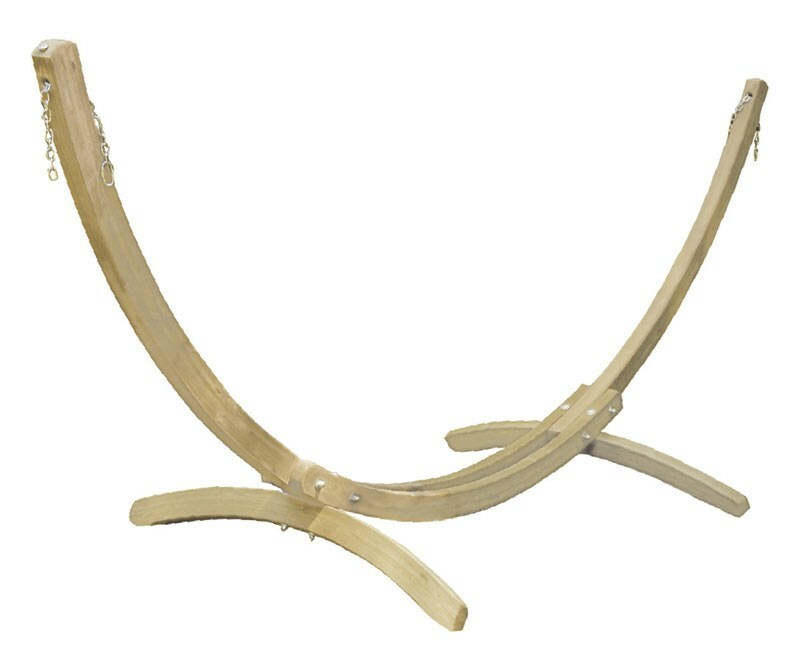 There are no reviews for Amazonas Hammock Stand Troja Spruce Wood.